Here’s a surprise for you. To celebrate the publication of my new short story collection (TA-DERR! ), I’m running another of my random word writing competitions. It’s FREE to enter and open to everyone, wherever you live. 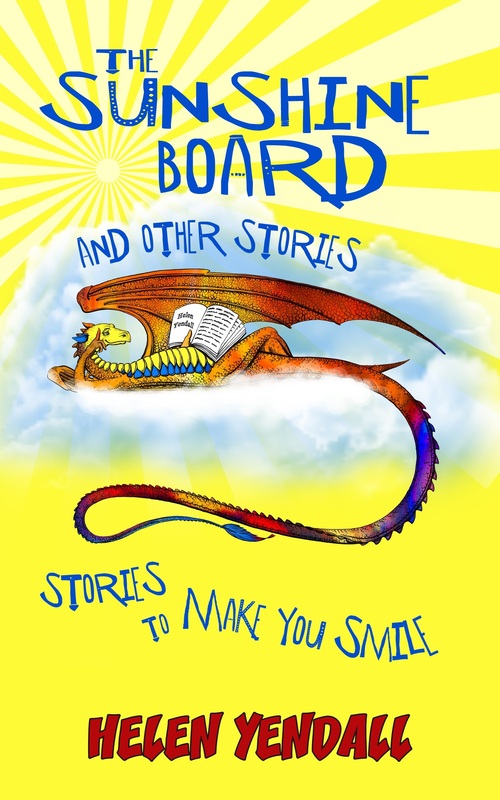 The Sunshine Board contains 12 short stories, most of which have been previously published in magazines and a couple that are competition winners. There’s a touch of humour, some romance and ‘The Normal Course of Events’ (which won the Chudleigh Phoenix competition in 2014), is written in a series of emails and was definitely the most fun I’ve ever had with a story. I deliberately chose the word ‘sunshine’ and the bright sunny cover (more about that dragon in a minute!) as this little collection is intended as a light summer read, whether you’re sitting on the beach in Marbella or at home staring out at the rain. There’s nothing sad or depressing in it, I promise: just pure escapism and hopefully, a lump in the throat and a smile or two. Now, you might be wondering about the dragon on the front cover. Hmm, I was wondering about that too, when the illustration came back from the graphic designer. I used Shar on fiverr.com and she was very good but – as you probably know – you don’t pay a huge amount on fiverr (although I did pay more than $5!) so there’s not much scope for to-ing and fro-ing and tweaking designs. It was actually my fault for choosing something that was difficult to illustrate (I mean, what is a ‘sunshine board’? You’ll have to read the story to find out!). Luckily I had a story called ‘Dragon’s Den’ that would fit into the collection quite well and phew, suddenly the random dragon on the front cover made sense! Those of you who’ve also self-published on Amazon will know that it’s quite a fiddly and time-consuming business (I’m sure it gets easier, the more you do it) but I couldn’t have managed it (even though this is my second book!) without my writing buddy Sally Jenkins’ book ‘Kindle Direct Publishing For Absolute Beginners’ to hand. I can highly recommend it if you’re thinking of having a go yourself. Anyway, all that remains to say is that should you wish to buy this little splash of sunshine for your holiday Kindle reading, then you can do so here. Thank you! I promised you another of these when I reached 700 followers. Well, I’m not quite there yet but I thought we could have another one anyway. You need to write a (max) 100 word story or poem, which includes 5 specific words. The words can be used more than once and can be used in the title as well as, (or instead of), in the body of the story. And you can use ‘extensions’ of the words – eg: ‘frosty’, ‘toying’ or ‘voted’. Check if you’ve used them correctly by doing a search on your finished document for the 5 words. As long as they come up, then you’re OK.
I’m giving away a £25 Amazon e-voucher as first prize and a £10 Amazon e-voucher as second prize. And then, of course, there’s the glory and honour of being the winner, which is priceless. 3. You don’t have to buy my e-book in order to enter! 4. Maximum 100 words (you can submit less), plus title. 8. Your entry must not have won or been placed in another competition. 9. Judge’s / judges’ decisions are final. 10. Email your entry in the body of the email, NOT as an attachment, to: helenyendall600@gmail.com by midnight on Tuesday 12th July 2016 (3 weeks today), along with your name. 11. By entering, you agree that your entry, or an extract, can be posted on this blog if it’s one of the shortlisted stories. 12. I will shortlist 5 entries and someone else will choose the winner, anonymously. I am being vague about the ‘someone else’ because I don’t know who it will be yet, but someone other than me and someone who will take their task seriously. If you have any questions, feel free to post them as a comment, so that everyone can see the response! PS: We’ve done this lots of times before and I’m sure most people know the drill but if you’re a new-comer (welcome!) then have a look here and here to see past winners and shortlisted entries. This entry was posted in Competitions, E publishing, random word competition, Short Stories. Bookmark the permalink. Congratulations on the new book, Helen! I love the cover and think it hits the mark perfectly. And many thanks for the shout out about Kindle Direct Publishing for Absolute Beginners – much appreciated! Thank you Sally! I was only telling the truth about your book! Congratulations on the book, Helen. THe competition closing date is our wedding anniversary – suppose that means I’m obliged to enter. Definitely, Patsy! And thanks for your ‘congratulations’! Congratulations on the book. The closing date is MY husband’s birthday. Thanks Charlie. That must be a sign! You have to enter the competition! Thanks Susan. I hope you’re going to have a go at the competition! Thanks, Harula. Good luck in the competition! Damn, missed the deadline! I was intending to enter your random word comp as usual Helen, since it’s always such an enjoyable challenge, but have just emerged from the organisation, preparation and 4-day celebration of my son’s 18th, and realising all the deadlines I’ve missed (e.g. tax return!). Hope you got lots of entries. And a big congrats for bringing out another collection, I love the sunny cover, it’s very appealing – not enough yellow in our lives! 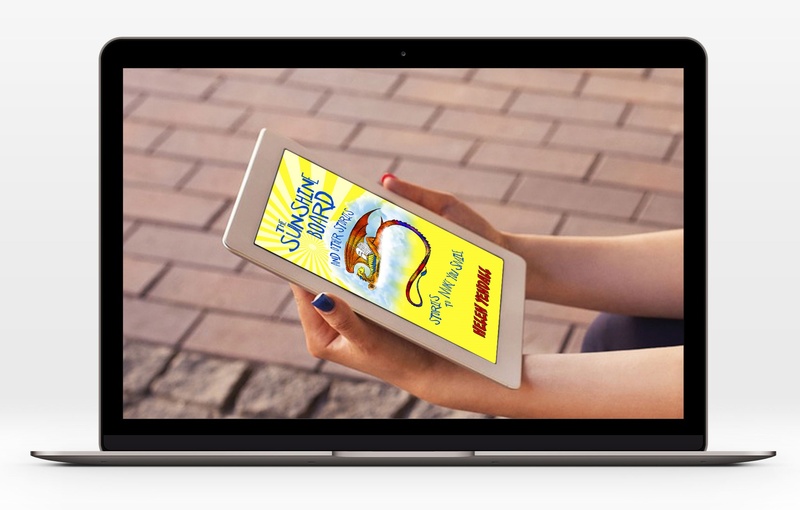 I don’t have kindle access, but I’ll buy it for my mother (if I can get her to read my dad’s kindle, she’s not too comfortable with technology), she really loved the last story of yours she read.